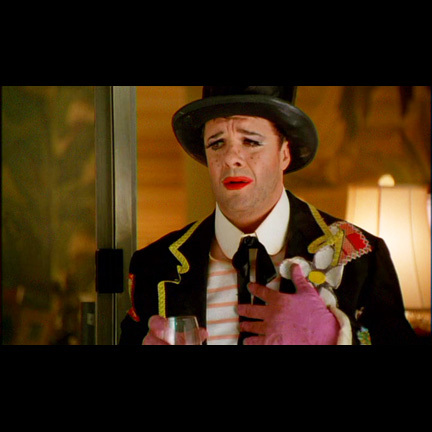 This clown coat was worn by the character Albert Goldman as portrayed by Nathan Lane in the motion picture “The Birdcage”. 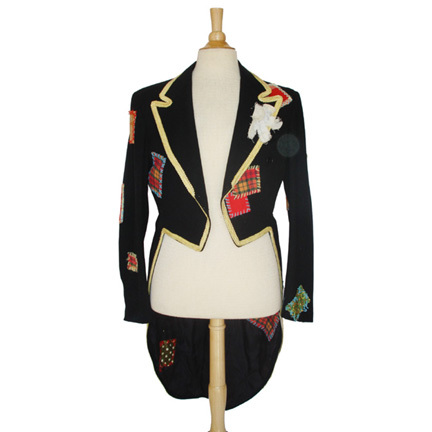 The period tuxedo coat was made by Desmonds and is constructed of a heavy black wool. 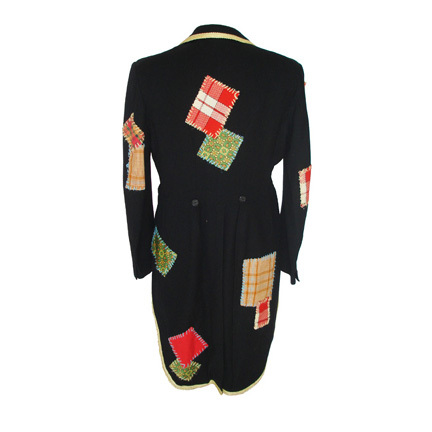 Plaid patch work has been sewn onto the front and back of the coat and yellow trim added to the collar and cuffs. 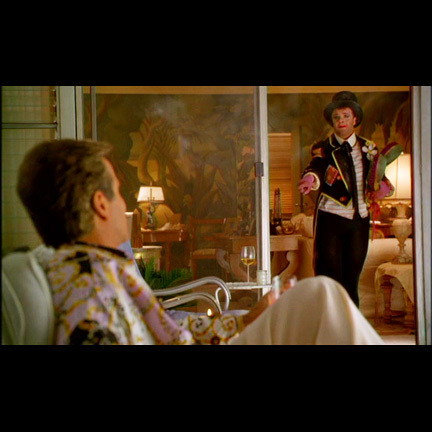 The coat can be viewed in one of the dance scene at the club. Accompanied by a letter of authenticity from the motion picture costume house.